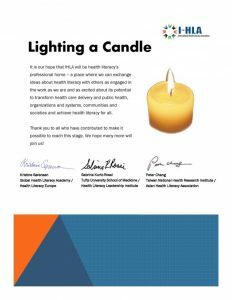 The International Health Literacy Association is run by and for its members and is broadly inclusive of people promoting health literacy in many different contexts. Our Vision: Health literacy for all – a world where people and societies can act to improve health and quality of life. Our Mission: To unite people around the world working to promote health literacy.